John ("J.D.") Rees is an associate in the Business Trial Practice Group in the firm's Century City office. Mr. Rees’s practice currently focuses on trusts and estates litigation. In that practice area, he represents individuals and institutions with various disputes occurring in California probate court, such as trust and will contests, fiduciary-removal cases, conservatorships, and guardianships. Mr. Rees also works with Business Trial partners representing clients in civil disputes. In the past, Mr. Rees has worked in an array of practice areas, including insurance bad faith, consumer financial services, general commercial disputes, and entertainment litigation. By the end of his fourth year, Mr. Rees has second-chaired two trials, managed a team of six attorneys handling discovery and document review/production, and has taken and assisted at depositions, including expert depositions. 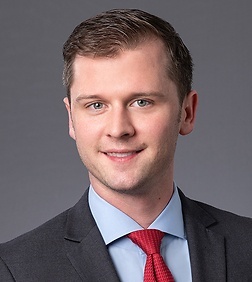 In his spare time, Mr. Rees enjoys coaching law students at UCLA for mock-trial competitions, playing basketball in the Landau Lawyer League, and writing articles about cryptocurrencies and the law.